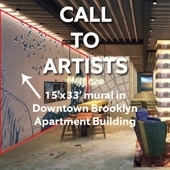 Calling contemporary artists living and working in the Brooklyn area! We are a fine art provider working with our client on the design for artwork in a Brooklyn apartment building. Thank goodness for mothers. Is there anything more loving in our lives? My favorite Anthropology professor once noted that despite the vast spectrum of human behavior, in every single human culture, children love their mothers. And isn’t that just nice? (His words, not mine.) We here at Grand Image certainly feel the love, and to celebrate the creative soul in each of the moms on our team we’ve asked them to share their favorite pieces from our catalog.